Panera Bread, the kid sitting in the front row of the classroom and raising his hand for every question, is being a total narc. Here’s the situation: Panera recently switched to a new method of cooking eggs—by cracking them fresh onto the flattop and serving them over-easy. But not every one of Panera’s competitors could afford to do this. According to CNBC, Sara Burnett, Panera’s director of wellness and food policy, singled out chains such as Burger King and Dunkin’ Donuts for serving an egg product that contains more than five ingredients. Now Panera wants the FDA to clearly define what constitutes an “egg,” ostensibly so other chains couldn’t legally call their egg discs, an egg. The restaurant has challenged its competitors on a number of fronts in recent years, adopting new welfare programs for livestock, cleaning up its bacon and calling out McDonald’s sugary kid’s meals. 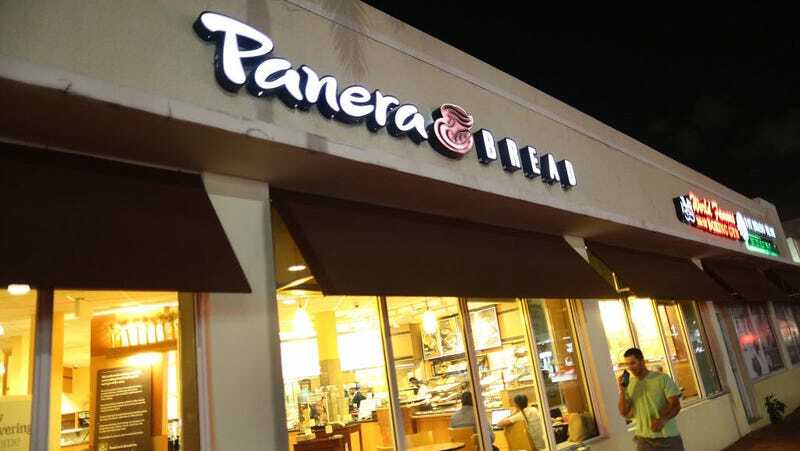 Panera even ruffled the feathers of Chipotle, leading the pair to quibble over what constitutes a truly additive-free menu. In response, Burger King, Chipotle, and McDonald’s are planning to inflict wet willies upon Panera during recess.